We've got more heart for you to love. 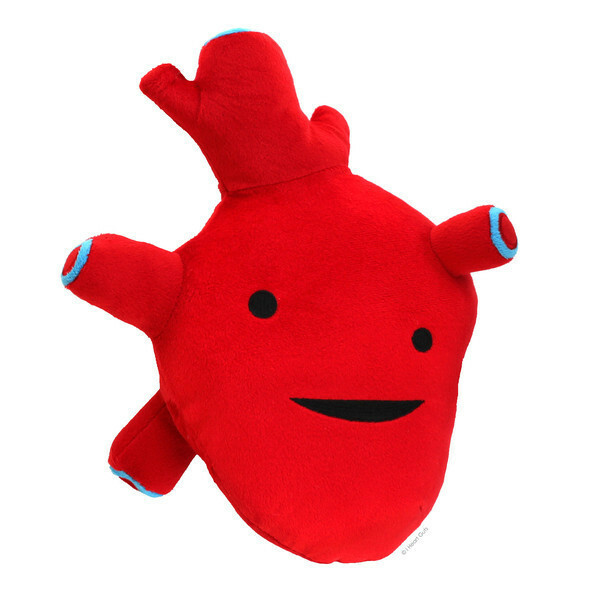 This great big heart is a whopping 10" x 8" x 4" super-soft high quality embroidered plush, perfect for hugging -- or beating. This muscular organ pumps blood throughout the body and beats about 100,000 times per day! Comes with an educational booklet hangtag describing the magical workings of your heart. This might be just the coeur for your fave cardiologist.